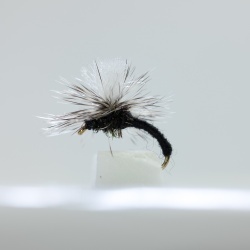 This fly has been a favourite with the Stillwater fly fishers for several years. Originally it was devized by Bob Worts for fishing Grafham Water when reservoir trout fishing was in its infancy. It was not long before its popularity spread to other stillwaters.